Government will soon complete the assumption of fixed telecommunications provider TelOne’s US$383 million legacy loans after Cabinet gave its thumbs-up. 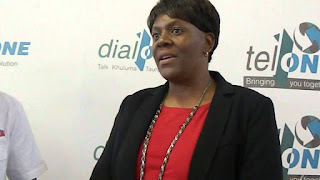 TelOne managing director Chipo Mtasa said her organisation is currently in negotiations with the relevant authorities over the modalities of the takeover. “We have been made aware that Cabinet passed a resolution to waiver our legacy loans, and we are currently in the process of engaging the Ministry of Finance and Economic Development in terms of finalising the transaction,” she told the Parliamentary Portfolio Committee on Information Communication Technology yesterday. The State-owned fixed telecoms operator is technically insolvent due to the legacy loans dating back to the era of Posts and Telecommunications Corporation (PTC), and Ms Mtasa said the Government assumption of the loans will reduce a lot of pressure in terms of the operational capacity of the telecoms firm. TelOne owes a number of lenders namely Eksportfinas of Norway (US$13,8 million); Eximbank of Japan (Sumitomo II) (US$9,5 million); BNP of France (US$36,2 million); Tunisia-based African Development Bank (US$89,9 million); Overseas Economic Co-operation Fund (OECF) JBIC III of Japan (US$152,4 million) and Kredittanstalt Fur Wiederaufbau (KFW 11A) of Germany (US$12,6 million). The loans were obtained to boost PTC’s network. The bulk of the loans, which had punitive interest rates, by global standards, of between 1 percent and 8 percent, were obtained between 1992 and 1997. But it is the penalty interest rates that have caused a huge jump in the debts. Official figures show that by the fourth quarter of 2018, the principal balance of the legacy loans was US$177,5 million while interest, arrears and charges amounted to just over US$206 million. The debt takeover is likely to make TelOne more attractive to potential foreign investors in view of plans by the Government to privatise the entity, among others. The legacy debt assumption aside, Ms Mtasa said one of the key issues that will help the company going forward is resolution of Government’s own arrears to TelOne. “The issue that will really help us is Government paying its debts to TelOne. It is an issue that continuously plays havoc with our cash-flows. Right now the total that we are being owed by Government and parastatals is RTGS$101 million.